The Marble Falls Education Foundation works with many donors throughout the community to offer scholarships to Marble Falls ISD students. By applying through MFEF, students can access many scholarship opportunities in one location. For the Class of 2019, applications will be accepted beginning November 12, 2018 through March 1, 2019. 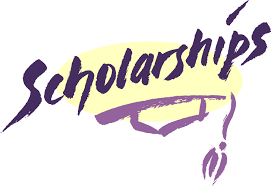 See the list of available scholarships in the Checklists below. There are separate checklists with different scholarship opportunities in each list. Check back for additional scholarships that will be posted monthly. Use the Scholarship Application below to apply for all scholarships on the Checklist. Existing State/Federal, and National scholarships can be found on the Marble Falls High School Counseling website. Click here.